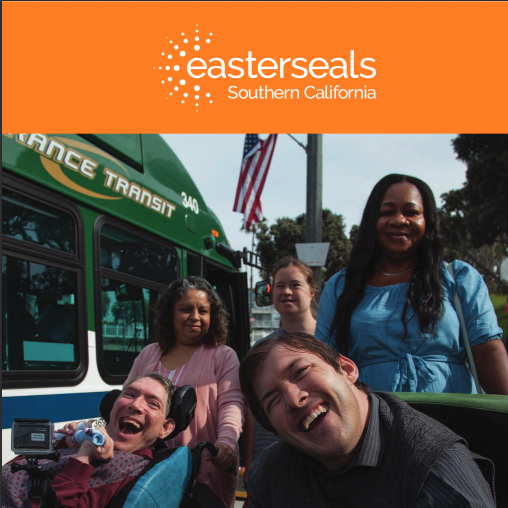 Easterseals Southern California, a leading disability services organization, announced registration is now open for its annual Easterseals Disability Film Challenge, the entertainment industry’s premiere disability inclusion competition. Interested filmmakers and participants can register at DisabilityFilmChallenge.com now through April 3, 2019, when registration will close at 6 p.m. PST. The Easterseals Disability Film Challenge, now in its sixth year, gives filmmakers the opportunity to collaborate and tell unique stories that showcase disability in its many forms. The film competition is open to anyone, with or without disabilities, and will take place over the weekend of April 5-7. Participants will have 55 hours to write, shoot and edit a three-to-five minute short film based on an assigned genre. While the filmmakers are not necessarily required to include disability in the storyline, each team must include at least one person with a disability in front of or behind the camera. The genre, locations and themes for the 2019 Challenge will be released April 3 at 6 p.m. PST, with props released April 5 at 11:01 a.m. PST. Submitted films are judged in four award categories – Best Film, Best Director, Best Actor and Best Awareness Campaign – and judged by a diverse group of entertainment industry professionals. Since the Challenge launched, filmmakers from around the world have created more than 200 films that have been viewed online and at festivals such as the HollyShorts Film Festival, Heartland Film Festival and Bentonville Film Festival. The 2019 Judges include RJ Mitte, actor (“Breaking Bad”); Kat Coiro, writer/director (“Modern Family,” “It’s Always Sunny in Philadelphia,” “Shameless,” “The Mick”); Kevin Jordan, award-winning writer/director; Danny Woodburn, veteran actor, (“Seinfeld,” “Watchmen” and the “Ninja Turles”); among others. This year’s mentors include Pam Dixon, Casting Director (“Green Lantern,” “The Mask of Zorro”); and Tiffany Smith-Anoa’I, Executive Vice President, Entertainment Diversity, Inclusion & Communications at CBS Entertainment with additional mentors to be announced. To highlight the caliber of mentors who have been involved, last year’s Easterseals Disability Film Challenge mentors also included: Amy Brenneman, actor (“The Leftovers,” “Private Practice,” and “Judging Amy”); Scott Silveri, executive producer and writer (“Speechless,” “Friends”); Peter Farrelly, producer (“Green Book,” “Loudermilk,” “Dumb and Dumber,” “Something About Mary”); and Bec Smith, Agent, United Talent Agency’s Motion Picture Literary and Independent Film Group. 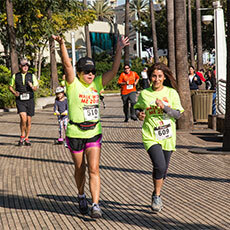 Sponsors and partners for this year’s Challenge include: Sony Pictures Entertainment, Deadline Hollywood, SAG-AFTRA, CBS Entertainment Diversity & Inclusion, Dell, Adobe, Film Independent, Heartland Film Festival, HollyShorts Film Festival, Universal Pictures, Variety and the Newport Beach Film Festival. Sony Pictures Entertainment, as the official Red Carpet Sponsor, will host the Awards Ceremony. Based on the category, winners have the opportunity to receive the latest in computer technology from Dell, the opportunity to screen their film at the HollyShorts Film Festival, mentorship opportunities and cash prizes. Registration for the 2019 Easterseals Disability Film Challenge is now open. To sign-up, view the official rules, or for more information, please visit DisabilityFilmChallenge.com.